Summer is hands down the best time of year to Learn To Row (LTR). Weather and water are warm, providing for a SAFE and pleasant atmosphere. they are patient and experienced coaches, and brilliant mentors and role models. This program is aimed at girls 12-15 years old. Your child must be at least 12 years old and be a competent swimmer. 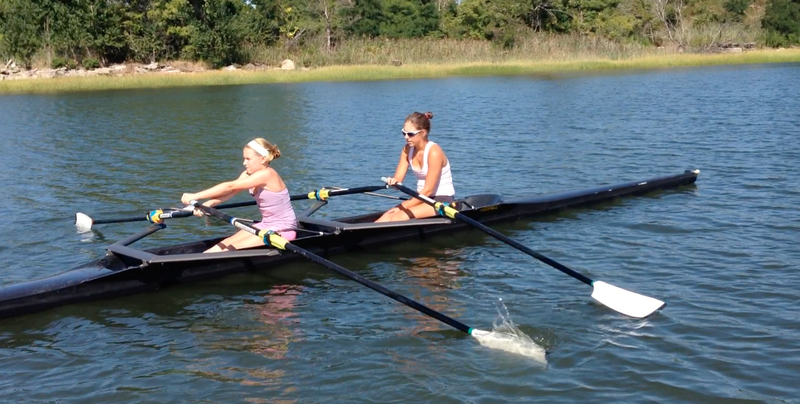 City Island Rowing is pleased to offer three levels of Learn to Row classes this summer! This two session class will give your athlete an introduction to this amazing sport. On day one they will learn the basic rowing stroke on rowing machines, some rowing terminology and how to handle a boat. On day two they will learn about boat safety, review the stroke mechanics and then go for a row to feel the sport in motion. The Introduction to Rowing course is recommended for athletes who have no idea if they are interested in the sport and just want to get a taste. Athletes who enjoy the course and wish continue may extend through the rest of that week with a credit for fees paid to date. This follows the same progression as the 2 Day Intro course with a few more days to start getting into the swing of rowing. Rowing is deceptively difficult at first, but quickly gets easier and more enjoyable with each additional day’s experience. This course is recommended for athletes that have limited time availability, but still want to get a true sense of the sport. Athletes who enjoy the Basic Course may extend through the Full LTR course, with a credit for fees paid to date. Full Learn to Row - Total immersion. Following on from the 1 week course, athletes will move well beyond getting a feeling for the sport, to developing true rowing skills. By the end of the 4 weeks, athletes will be able to row confidently in larger boats and have been introduced to smaller boats. They will have learned to work together as a “crew” and together move the boat in a way that is captivating and exciting. Wherever possible we strongly recommend committing to the full 4 week full immersion course. This will give your athlete a much greater understanding of the sport and is far more likely to help them love the sport, and makes them eligible to “move up” to a Skills Development course, and be considered for a spot in our Fall Competitive Race Team as a Novice. great coach to athlete ratio and absolutely critically, our LTR classes only scull! Sculling is MUCH safer on young, growing athletes' backs. Middle school aged athletes, especially, should NOT be sweep rowing in their first year of rowing. Athletes who complete our LTR classes will be eligible to move up to our Skills Dev Camps. C.I.R. Racing Team in the Fall as Novices.